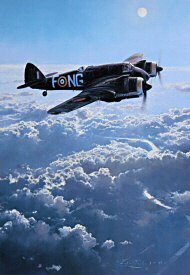 Comes with Companion print "Moonlighting"
Robert Taylor's painting dramatically brings to life a Mosquito attack on a German fighter station deep inside Germany. 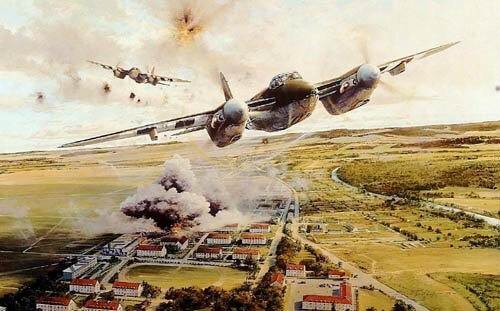 Arriving over the target at little above hangar height, the two-ship mission announce their arrival by raking the field with cannon and machine gun fire. Within seconds both aircraft have scored direct hits with their 50lb bombs, and before the defensive flak guns can get the range, the pair have departed for home.